Updated 2016. 3 hours 18 min. 19 chapters. The Highway Code is an essential reading for every road user in England, Scotland and Wales. 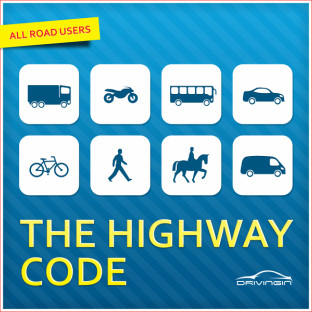 This Code applies to all road users including drivers, pedestrians, cyclists, motorcyclists and horse riders. It is aimed at ensuring road safety. Many of the rules of the Code are legal requirements and road users that do not comply may be fined, given points on driving licence, disqualified, or in serious cases, sent to prison. This Highway Code audiobook includes the Highway Code that contains nineteen chapters that cover traffic regulations, laws and penalties. The text was sourced from the latest edition of The Official Highway Code, and reproduced under the terms of the Open Government Licence. You can buy The Higway Code audiobook on iTunes, Audible (Amazon), GooglePlay or MP3 on this website.